Review: You'll normally find OdD lurking round their own self-titled label, but on this occasion they're moonlighting on SPORTS with more of that shuffling, jazzy minimal house they've made their calling card. "Little Drum" is a perfect percussive trip-out of a track, all dense layers of rhythm locking into a dreamy house swell, while "The Reload" offers a distinctly different prospect powered by driving machine beats and techy synth threads. Kamran Sadeghi turns "Little Drum" into a dynamic, dark-edged tech-house workout, and Malin Genie drops some freaky electro stylings all over "The Reload", making this a 12" with something for everyone (who likes quality house, techno and electro at least). 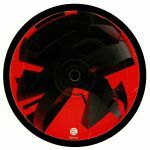 Review: Miami deep and tech house label Sports is hitting its third release with the sultry tones of Greek producer Salt, who offers up two original tracks of lean and mean tracks to get pumping to. "Quantum XL" features punchy bass, dubby FX and seductive chords that burrow right into the heart of the night, while "Imago Loop" takes a sharp turn into dreamy broken beat crafted with light, airy drums and woozy pads for the most blissful of listening experiences. 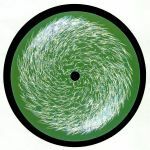 On the remix front, Sylphe offer up a re-dub of "Quantum XL" that fattens the bass up further and works more percussive angles into the mix, while Martinez deftly swaps "Imago Loop"s breaks out for a slinky micro house beat.